.... Several weeks into the proceedings, the octogenarian Benjamin Franklin proposed that the meetings open with prayer. "How has it happened," he pondered, according to a copy of the speech in Franklin's papers, "that we have not, hitherto once thought of humbly applying to the Father of Lights to illuminate our Understandings?" This was a poignant but peculiar suggestion coming from Franklin, the great printer, scientist and diplomat. He described himself in his autobiography as a "thorough deist" who as a teenager had rejected the Puritan faith of his parents. Why would Franklin ask the Philadelphia delegates to begin their daily deliberations with prayer? Even stranger, few convention attendees supported the proposal. A couple of devout delegates seconded his motion, but it fizzled among the other participants. 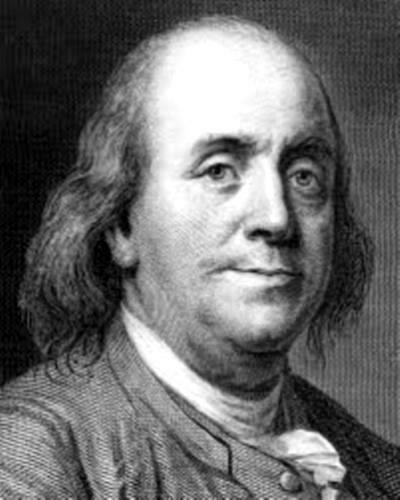 Franklin scribbled a note at the bottom of his prayer speech lamenting, "The Convention except three or four Persons, thought Prayers unnecessary!" If Franklin truly was a deist, he wasn't a very good one. Doctrinaire deists believed in a distant Creator, one who did not intervene in human history, and certainly not one who would respond to prayers. Yes, Franklin questioned basic points of Christianity, including Jesus' divine nature. Yet his childhood immersion in the Puritan faith, and his relationships with traditional Christians through his adult life, kept him tethered to his parents' religion. If he was not a Christian, he often sounded and acted like one. Then came the Revolutionary War. Its weight, along with the shock of victory and independence, made Franklin think that God, in some mysterious way, must be moving in American history. "The longer I live," he told the delegates in Philadelphia, "the more convincing Proofs I see of this Truth, That God governs in the affairs of men."